and all the wonderful speakers and events. Sunday, December 13, 2015, 2 – 4:30 p.m. Being a best-selling indie author requires more than just writing a good book. The essential ingredients of marketing, mindset and engaging your readers consume more than half your efforts toward becoming successful. You need clear goals and unwavering determination, otherwise your dream will be DOA. Avoid huge mistakes and learn positive techniques from an experienced indie author who will discuss plethora related topics: social media, street teams, also-buys, Amazon bods, audio books, book signings, conventions, foreign translations, designing covers, editing, formatting, virtual assistants and personal assistants, and the pros and cons of having an agent or pursuing a hybrid author career. This isn’t a “one size fits all” talk. of the SEAL Brotherhood. Her characters follow a spicy road to redemption through passion and true love. All of her SEAL Brotherhood Series novels are available as audio books. She has maintained an Amazon top 100 author status in romantic suspense since the end of 2012. Honeymoon Bite, Book 1 of the Golden Vampires of Tuscany Series, has earned the Amazon designation of #1 gothic romance. That book, along with Book 2 in the series, Mortal Bite, are both available as audio books, as well. Hamilton’s Guardian Angels Series is also in print and audio formats. A lifelong organic gardener, Hamilton lives with her husband in the Northern California Wine Country, the setting for most of her stories. When she’s not writing. she’s getting very, very dirty in the mud, or wandering farmers’ markets looking for new heirloom varieties of vegetables and flowers. Learn from the masters and the classics to corral and define exactly what point of view is and how to manage it. You will learn how to best manage where and what your characters are doing, how to be clear and how to make sure your reader is following the story. Discover the joys and pitfalls of the unreliable narrator during this interactive workshop. Bring your questions and examples of terrible narration. 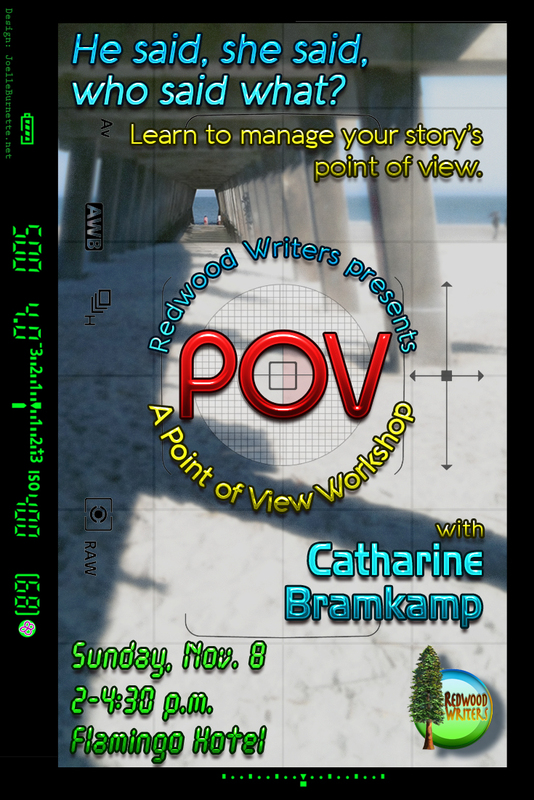 Catharine Bramkamp is an author, award-winning poet, podcaster and champion of newbie writers everywhere. She is the co-producer of the Newbie Writers Podcast that focuses on newer writers and their concerns. She is a successful writing coach and author of a dozen books, including the Real Estate Diva Mysteries series, The Future Girls series (Eternal Press) and the poetry chapbook Ammonia Sunrise (Finishing Line Press). She holds two degrees in English and is an adjunct university professor. Want to see your play in full production on stage? 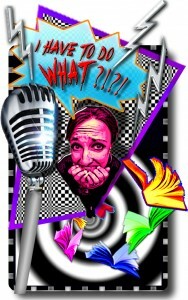 Do you think because you are a new playwright this can’t happen for you? Did you know that writing a play has much in common with writing fiction? 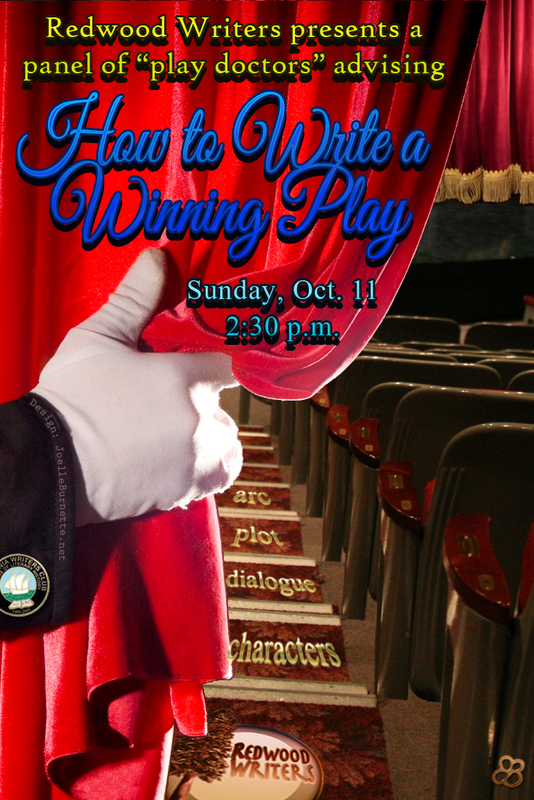 Whether you are a writer or playwright you’ll want to attend this panel discussion that will present great ideas to enhance any type of writing. Each year, Redwood Writers sponsors a short play contest and some of the winners are often first-time playwrights. The dream of seeing your play on stage can happen. But, first … the play’s the thing! Is It Plot or Character Driven? Read about the panel members by clicking here. Every November, writers from all over the world take part in National Novel Writing Month, otherwise known as NaNoWriMo. During this month, writers set aside their usual novel writing process to focus on quickly churning out a novel. Through daily word count goals, community support and a touch of insanity, many of these writers reach day 30 with a rough draft novel in their hands. 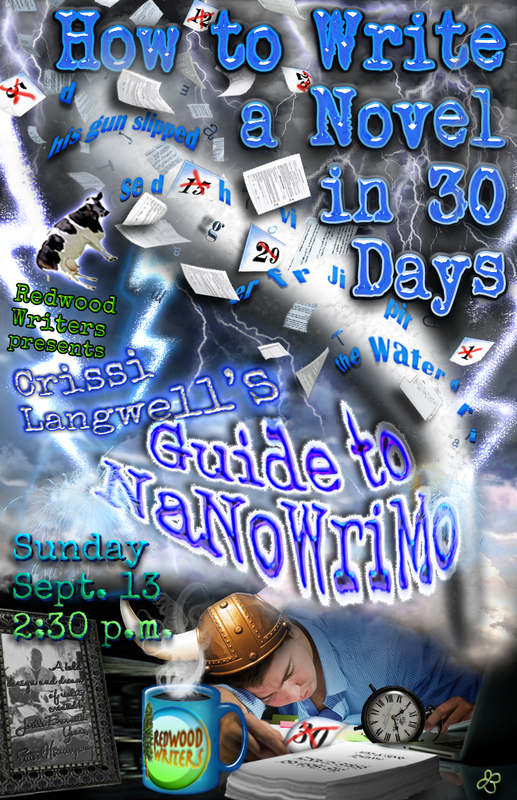 Crissi Langwell, who has participated and “won” NaNoWriMo for the past five years, will guide you through the ins and outs of NaNoWriMo, explain the benefits of writing fast, and show how you can successfully write your own novel in 30 days. 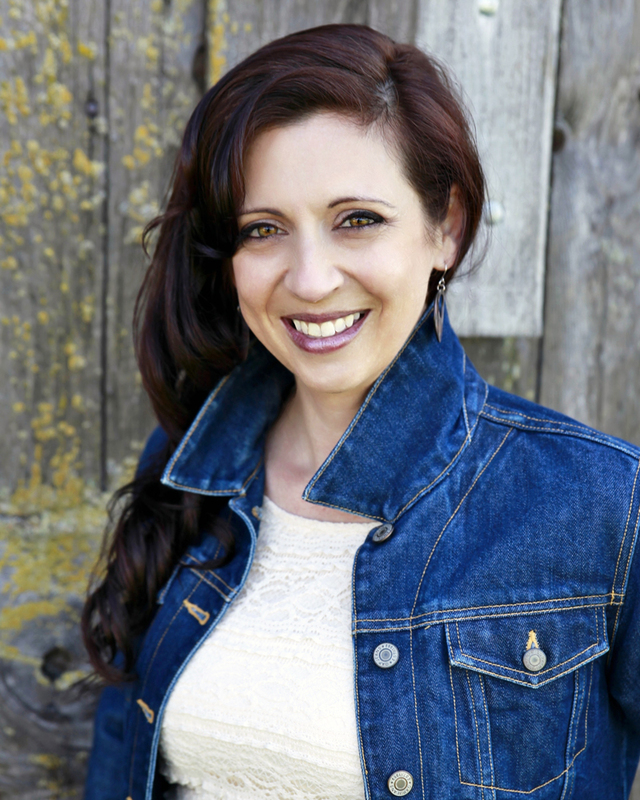 Crissi Langwell is a fiction author, the Redwood Writers newsletter editor and she offers many book editing and formatting services to other authors. 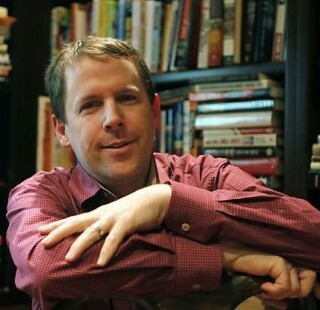 During the last two years, Langwell has published four novels, three of which were written during NaNoWriMo. Langwell lives in Petaluma with her husband and blended family of three teenagers. She manages to write full-length novels even while holding a full-time position at the Press Democrat as their web producer. Learn more about NaNoWriMo at NaNoWriMo.org. Discover more about Langwell at CrissiLangwell.com and her author services at NorthCoastStories.com. A website is a crucial feature of any writer’s online platform. But what should an author’s website include? 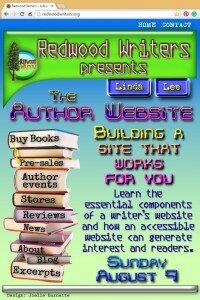 Linda Lee will describe the essential components of a writer’s website and reveal how an accessible website can generate interest—and readers. 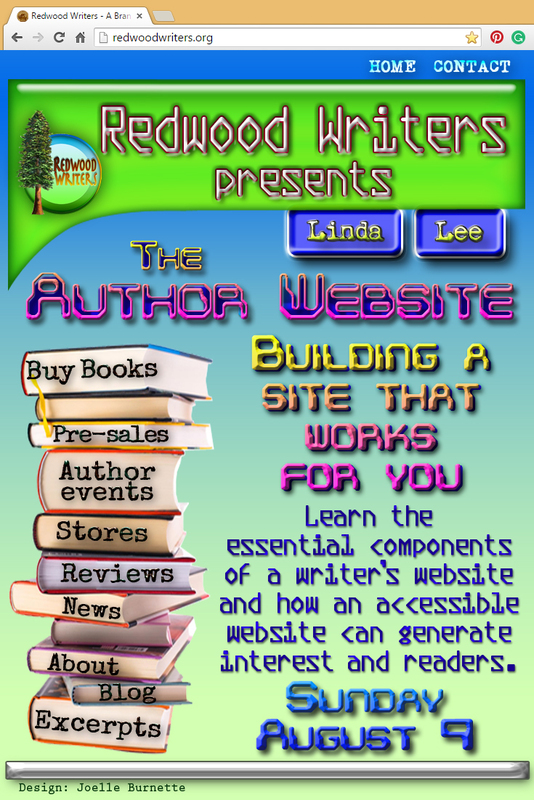 Linda’s talk will focus on the elements that make an author’s website successful and show how writers can make the best use of the Internet to promote their books in this new age of self-publishing. 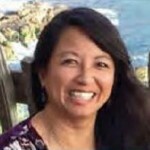 Linda Lee is a writer, speaker, educator and website designer who demystifies the online experience. Whether you are a novice or veteran Internet user, Linda can help you optimize and learn how to run and use your website. Linda is the founder of Askmepc-Webdesign, “Smart Women, Stupid Computers” and WordPress Total Training, a full WordPress training course and support membership site for WordPress. 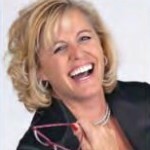 She offers remote training domestically and internationally, helping hundreds of people. 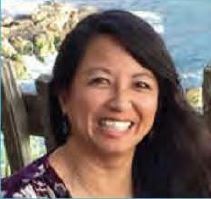 As well, Linda Lee is one of the top webinar presenters for the Author Learning Center, a division of Penguin Publishing. Sunday, July 12, 2015, 2-5 p.m. 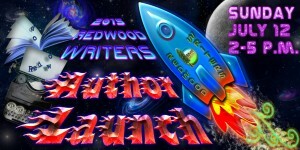 Celebrate the success of Bay Area authors at the annual Redwood Writers Author Launch. Listen to excerpts from new books published by our members since last July, meet local authors and pick up signed copies of their books. 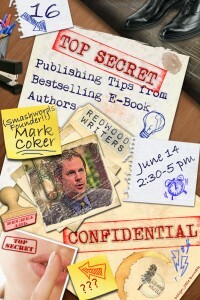 Mark Coker shares 16 best practices of the most successful self-published e-book authors. 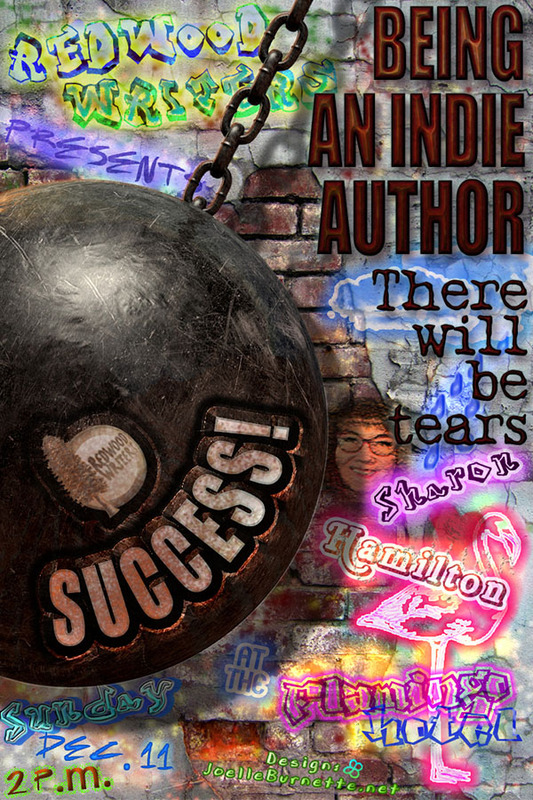 Learn how to self-publish with pride and professionalism. Learn simple, yet important strategies that will make your book more accessible, more discoverable and more desirable to readers. The session draws upon the best practices and advice contained in Coker’s free e-book, The Secrets to Ebook Publishing Success, and includes new insights not covered in the book. 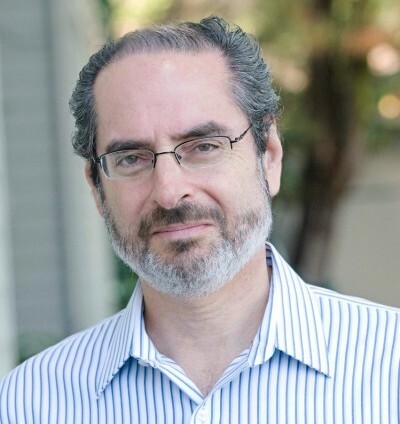 Based in Los Gatos, Mark Coker founded Smashwords in 2008 to make it fast, free and easy for authors to publish and distribute an e-book. Today, Smashwords has grown to become the world’s largest distributor of self-published e-books. Around the world, 100,000 authors and small independent presses publish and distribute more than 300,000 books with Smashwords. For the first time in history, authors are in the driver seat. 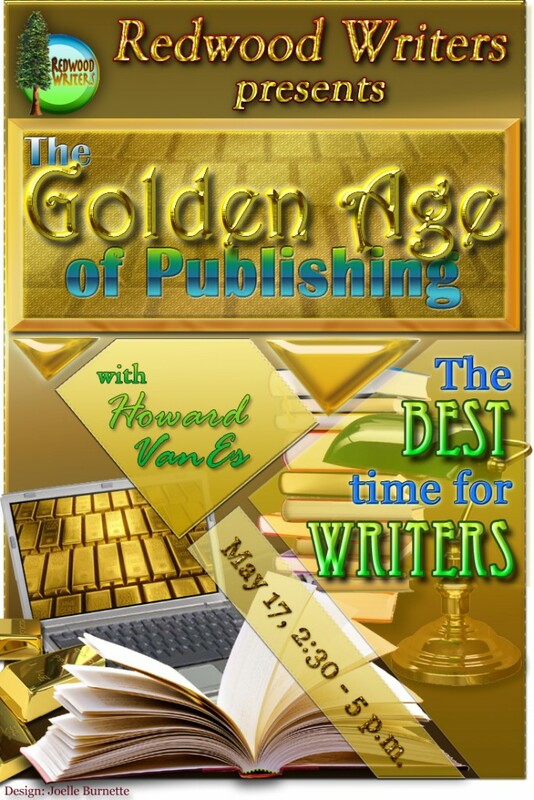 VanEs will discuss the trends behind this phenomenon and describe how writers can take advantage of each with tips, resources, and ideas to propel your writing forward. Access publishing resources previously not available to authors. Do you know the essential elements every creative non-fiction writer can use to create robust, compelling first-person stories? Do you know the statement that forms the core of every essay or memoir? Bring new life to your writing using tips offered by Susan Bono, a writing teacher and editor. Whether you’re new to the genre or looking to brush up on your skills, Bono will connect you to key concepts that will help you master your material. 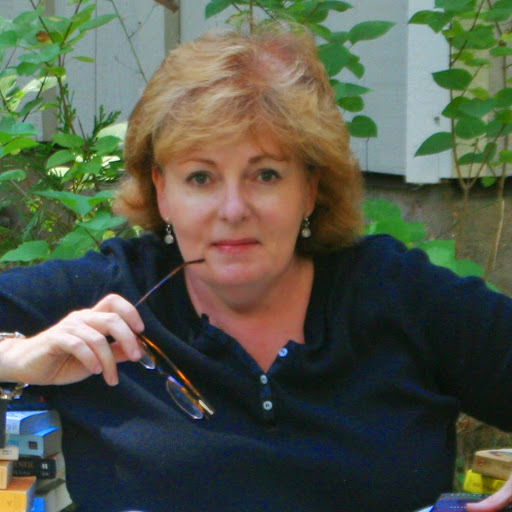 Since 1995, Susan Bono has been the editor and publisher of Tiny Lights: A Journal of Personal Narrative. Most recently, she authored her published collection of essays, What We Have Here: Essays about Keeping House and Finding Home. Bono currently serves on the boards of the Mendocino Coast Writers Conference and Petaluma Readers Theater, and edits the Noyo River Review. Learn to lose your fear of public speaking with tips offered in this workshop presented by Betsy Graziani Fasbinder, a writer and communications trainer. Overcome onstage jitters and gain the confidence you need to speak in front of a crowd. As writers, often we are more comfortable communicating in written form. Regardless of your progress along the journey of publishing, at some point, you will read from or speak about your writing. Learn to be comfortable speaking in front publishing professionals and readers alike as you develop your publicity plan and broaden your author platform. The size of your audience can become an inconsequential detail with the lessons of mental shifts and simple tips offered in this workshop. Whether you are terrified of public speaking, or you just want to polish your presentations, learn ways to build your confidence, improve your presence, and become an effective orator with a natural style when addressing any audience. 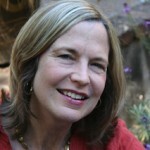 Betsy Graziani Fasbinder is a writer, psychotherapist and communications trainer. She has taught public speaking in Fortune 500 companies and to private clients since 1998, helping others to conquer their fears and connect to listeners. Fasbinder overcame her own terror of public speaking by learning a set of simple techniques. Given these skills, her clients are empowered to inform, entertain, influence and inspire audiences of any size, and to leave a lasting impression on listeners. Fasbinder works with writers, helping them to write their stories and embrace public speaking opportunities to promote their books. Published in anthologies and as a ghostwriter, Fire & Water is Fasbinder’s debut novel. For more information, visit her website: BetsyGrazianiFasbinder.com. If you missed this February presentation, click here to open a word list to be used in a writing exercise. Stand Out on Your Own: Why You Don’t Need an Agent! Literary Myth: If you don’t have a literary agent, you aren’t a real author. FALSE! Dynamic speaker and successful agent Laurie McLean, Partner Fuse Literary, will share insights from the trenches on the revolution going on in publishing and why it is no longer impossible to get published without an agent. Through self-publishing, crowdfunding, crowdsourcing, digital-first and other publishing initiatives, for the first time ever you can go it alone and make a living as an author. Is there a place for a literary agent in your future? Perhaps. Perhaps not. And perhaps literary agents are changing as much as the industry they work in. Laurie will candidly explain the ins, outs, pluses and minuses of publishing in 2015 and beyond. A great way to start the year! www.fuseliterary.com. Laurie McLean spent 20 years as the CEO of a PR agency and eight years as an agent/senior agent at Larsen Pomada Literary Agents before forming Fuse Literary in 2013 with her partners. 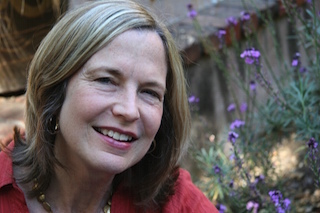 Prior to founding Fuse Literary, McLean was also the Dean of San Francisco Writers University and on the management team of the San Francisco Writers Conference. 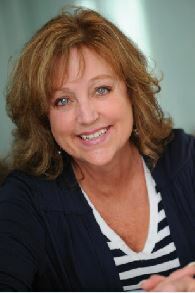 In 2012, she co-founded two e-publishing companies with two of her client partners, JoyrideBooks.com for vintage out-of-print romance books with Linda Wisdom, and AmbushBooks.com for out-of-print classic tween and teen books with Douglas Rees. 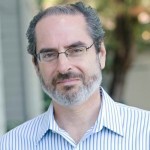 At Fuse, McLean specializes in adult genre fiction plus middle-grade and young adult children’s books. She prefers to receive the first ten pages and a one-to-two page plot synopsis of a completed/polished manuscript via email to [email protected] McLean requests that the plot synopsis be pasted into the body of the email query, rather than as an attachment. NOTE: It was a packed house to listen to McLean’s talk. In case you missed her informative presentation, click here to read a blog she wrote on the meeting’s subject.